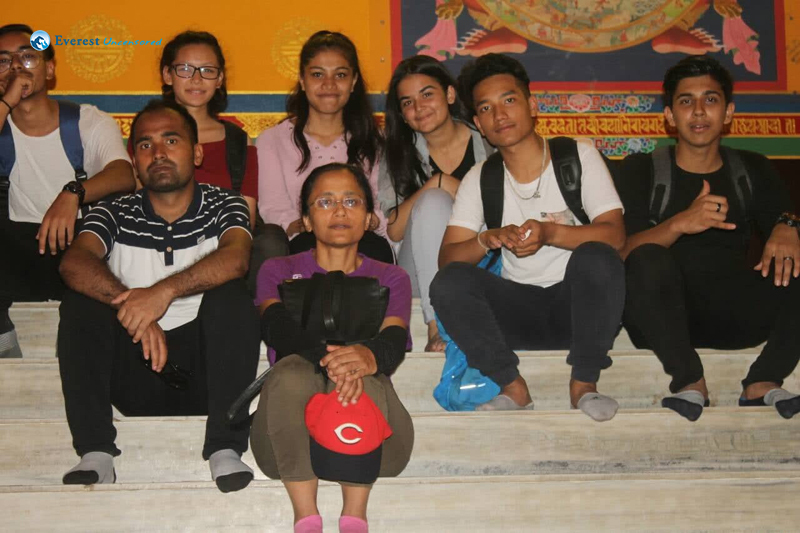 Ayusha Tandukar, Charu Arjyal, Dipta G.C, Kapil Kuinkel, Manjul Sharma, Nhuja Maharjan, Nitisha Timalsina, Pramila Khadka, Prashika Adhikari, Prithak K.C, Shramik Sangat, Shreyas Dhakal, Suyog Parajuli, Ujjwal Poudel. 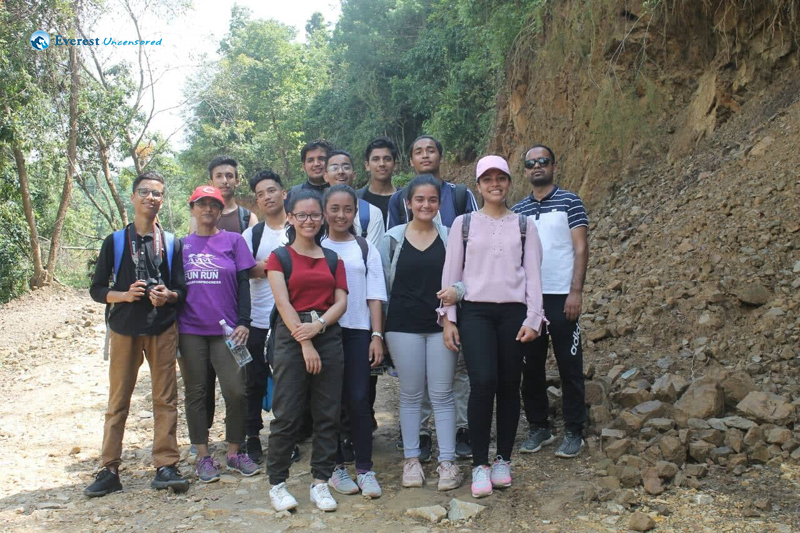 Ayusha Tandukar On 15th September, 2018 DSS +2 Hiking Club organized a one-day hike from Panauti to Namo Buddha. There were a total of 14 participants including 2 teachers. 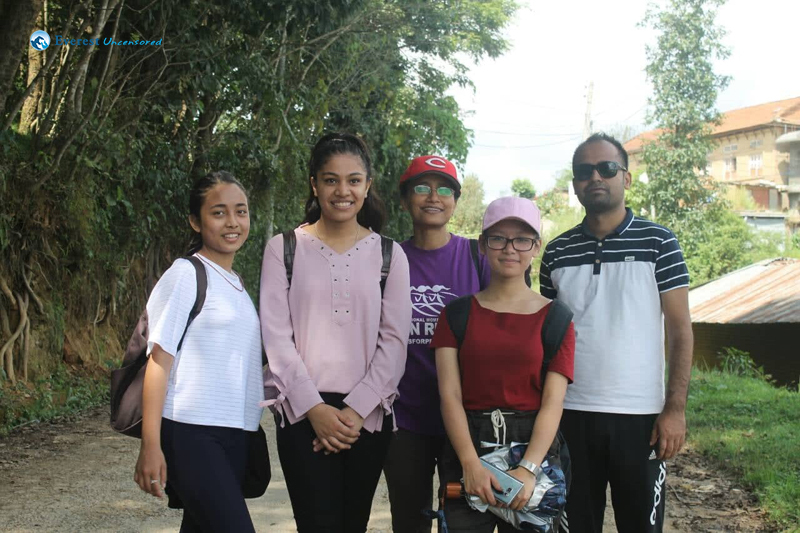 The participants gathered at Deerwalk Complex and left the premises at 8:00 A.M. At around 9:10 A.M, we reached Panauti Bazar and had light breakfast which included Puri Tarkari. 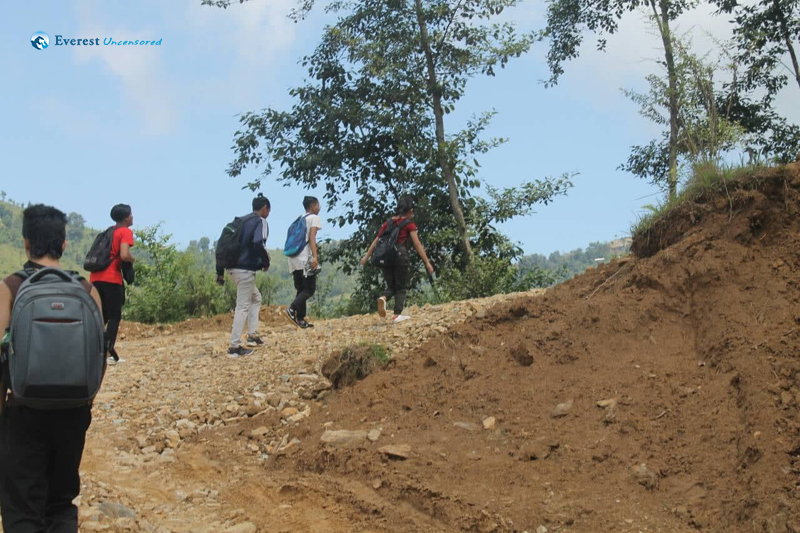 We officially began our hike from Panauti Bazar at around 10 A.M. We asked local people to confirm the route. As we walked past the roads, we saw various domestic animals raised by local people. The environment was green and clean. We walked along the road which was surrounded by trees. After few hours of continuous walk, we took some rest and ate snacks. 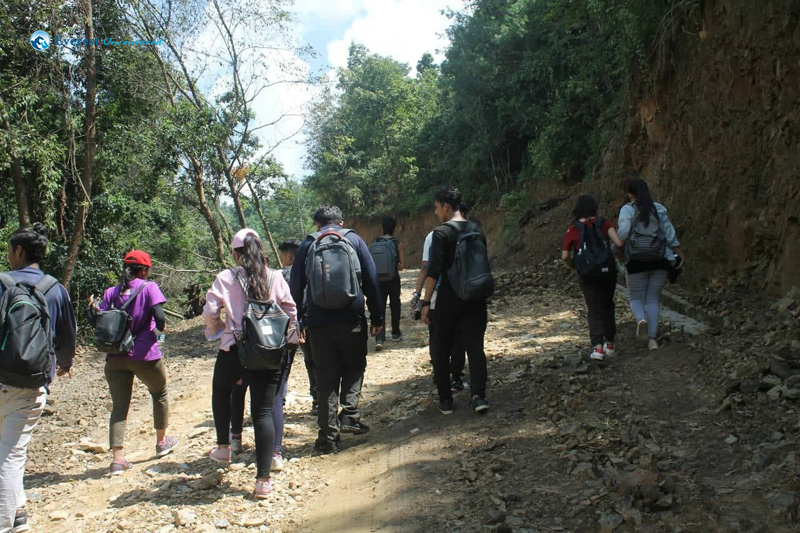 Then, we clicked some photos and again started to hike. 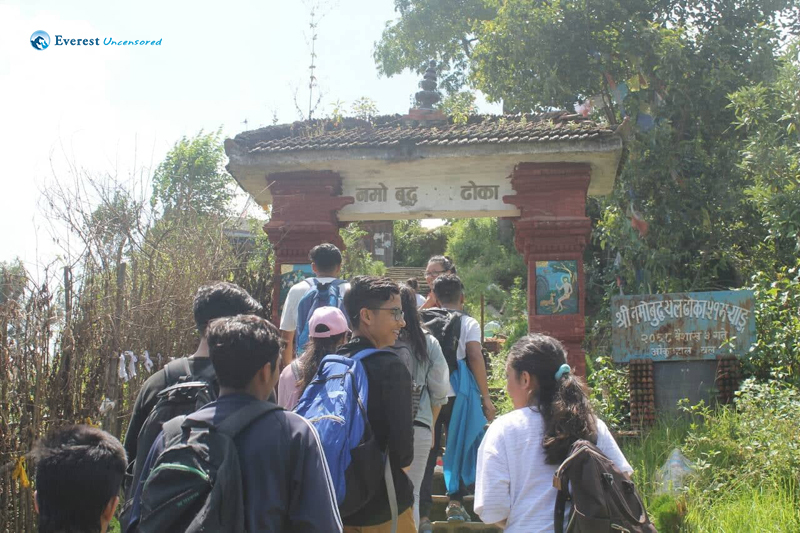 After half an hour of walk, we reached Namo Buddha gate. Then we stopped by a small cold store and drank soft drinks. We continued our hike walking along the slippery stairs. 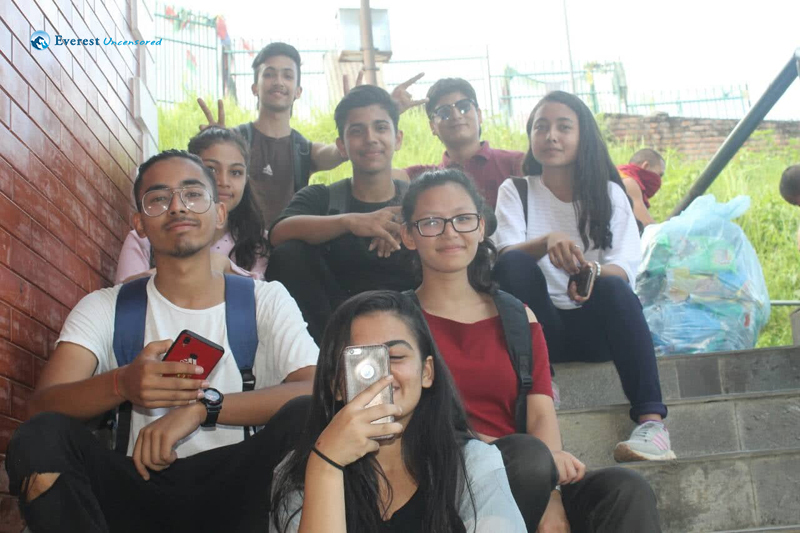 The stairs were steep but it didn’t trouble us much because we were enjoying the moment clicking beautiful pictures as this time would never return. 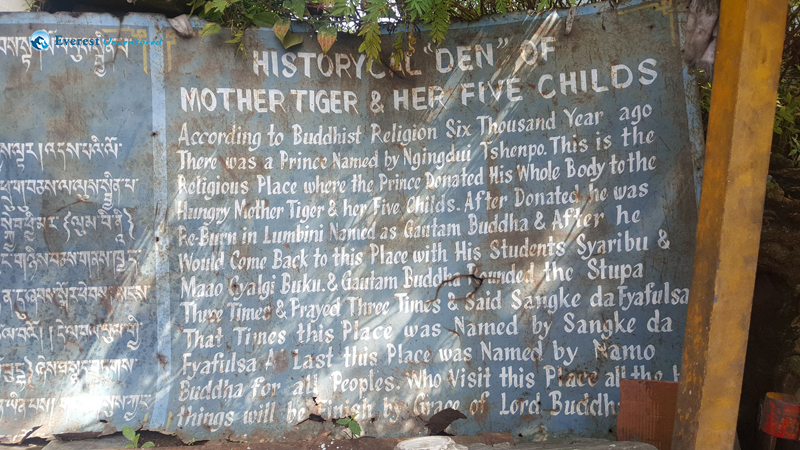 The different rituals and prayers of Buddhism were highlighted on the premises of the Gumba. We reached at a height where we could see the beautiful view. We all shouted each others’ name out of joy and excitement. We spent some time clicking group photos. Then, we headed towards the main Gumba. The different rituals and prayers of Buddhism were highlighted on the premises of the Gumba. Monks were reciting their prayers. We enjoyed the spiritual moment and captured it in our memories. Then, we started walking towards our bus station. Laughing and enjoying, everyone had good time. Basanta Dai accompanied us and bought us some cucumbers. It was the local product that was famous in Namo Buddha. 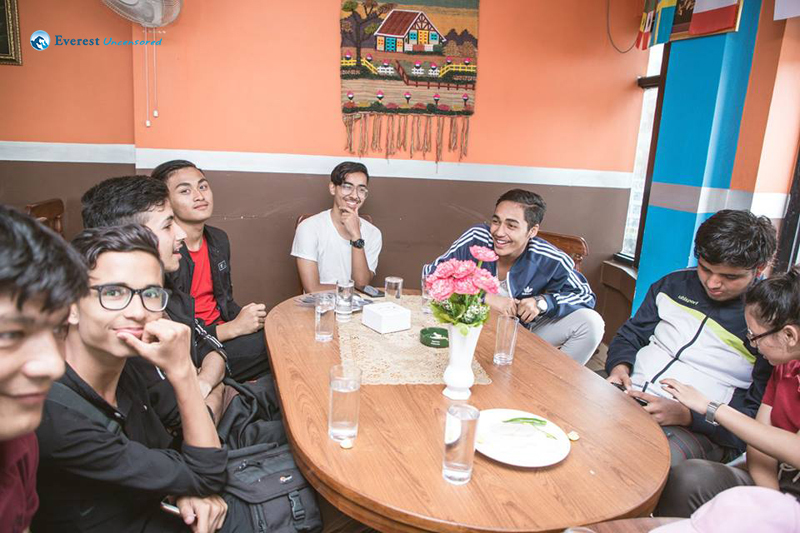 We ate the fresh cucumbers and left Namo Buddha at around 3:00 P.M. We decided to have our lunch at Banepa. All of enjoyed the delicious Thakali meal after the long hike. This wonderful meal definitely made all the participants forget about their tiredness. 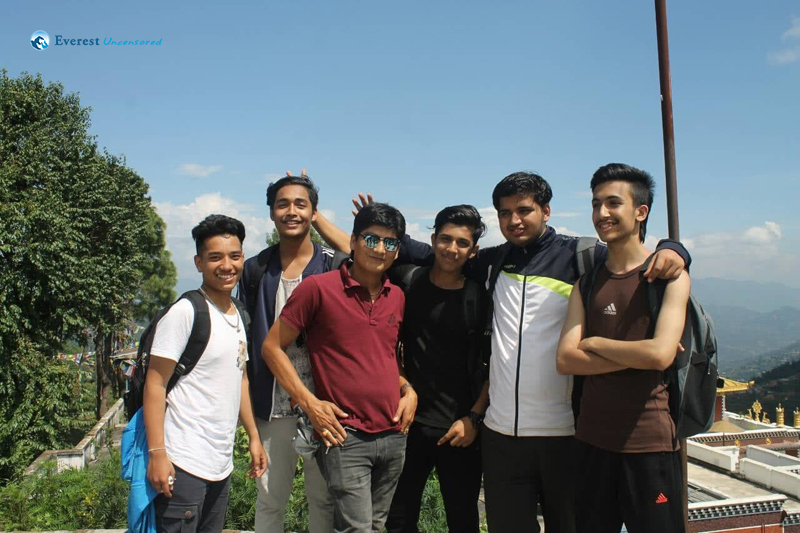 The fun we had while travelling in the vehicle was the perfect ending to the adventurous, amazing and memorable hike.